James Martin’s classic rhubarb crumble recipe will take you to comfort food heaven in six short steps and under an hour. Each serving provides 630 kcal, 6g protein, 97g carbohydrates (of which 59g sugars), 23g fat (of which 14.5g saturates), 4g fibre and 0.5g salt. Cut the rhubarb into 7½cm/3in long sticks and place on an oven tray and sprinkle with 4 tablespoons of water and the caster sugar. Roast for 10 minutes. Sprinkle over the ginger and mix well. Rub the butter into the flour and sugar to make the crumble topping. 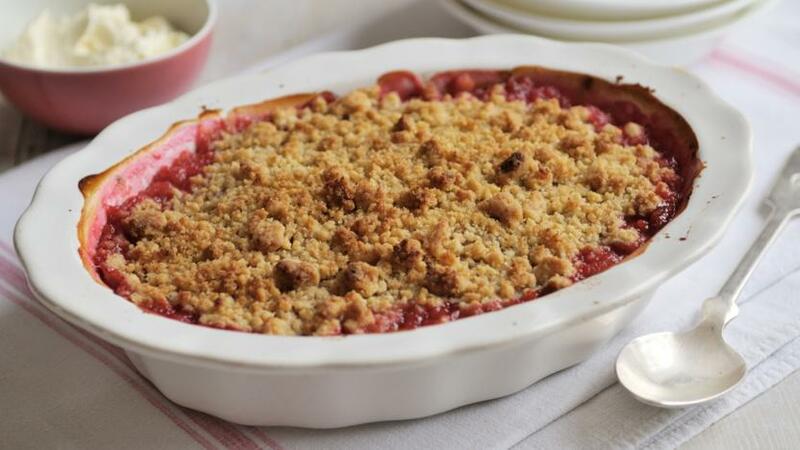 Sprinkle over the rhubarb and bake for 35–45 minutes, or until the crumble topping is crisp and golden-brown and the rhubarb filling has softened and is bubbling. Allow to cool slightly before serving with double cream.